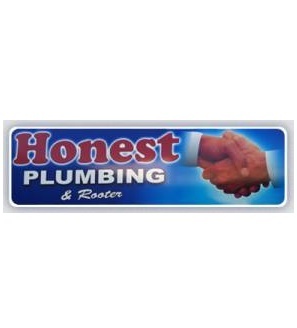 Honest Plumbing & Rooter is a family owned plumbing service that is serving Los Angeles and Burbank from the past 24 years. We are the best Los Angeles plumbing service providers who are open 24/7 and right at your door step no matter what the emergency. Time management and convenience of the customer are our top priorities and in order to offer the same, we employ tested route coordination and project management methods. Be it a residence or a commercial space, be it renovation or routine maintenance, be it a big problem or small one, every complaint is treated with the same discipline and resolved successfully by Honest Plumbing & Rooter. Trenchless pipe repair services, clogged drains, toilet repair, electronic leak detection, drain cleaning and repair, faucets and fixtures, sewage backups, leak fixes and prevention, system maintenance, garbage disposals, and damage sewer lines are few of the services we offer. All our customers have to do is give us a call or request for a plumber on our website. They can even get a free estimate on maintenance, repair, and new installations if needed. Apart from Los Angeles and Burbank, we offer our plumbing services in Silver Lake, Highland Park, Eagle Rock, Hollywood Hills, Pasadena, La Canada, Arcadia, Altadena, Glendale, Studio City, North Hollywood, Los Feliz, Atwater Village, Woodland Hills, and many other nearby locations. For details, visit www.honestplumbing.net/ and www.honestplumbing.net/blog-streampage/.